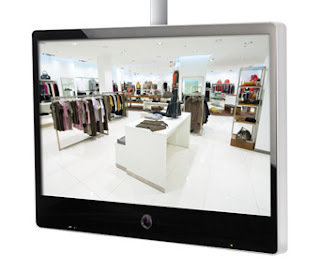 A Public View Monitor (PVM) placed at your building entrance displays an image from an onboard camera of every visitor who enters your facility. An overlay message “Recording In Progress” informs potential thieves that they are being recorded. This shows everyone passing by the monitor that video surveillance is deployed and in use throughout the facility. Not only does this signal a ‘safe’ environment to honest occupants, it warns troublemakers that they are under observation. The Public View Monitors feature a slim styled design with a recessed acrylic face to be an elegant showpiece, while actively taking part of loss prevention and creating a greater awareness of video surveillance. It can be wall mounted, or ceiling mounted. For more information, please call Quinlan Security Systems at 708-478-0707.